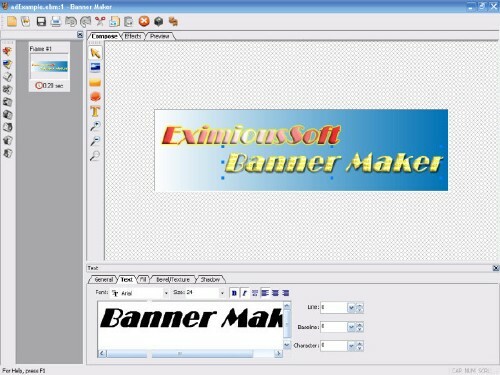 EximiousSoft Banner Maker is a powerful software for ceating banner ads, web buttons, headers and web graphics. It supports layer compose. Raster images or vector shapes are allowed to be added and edited. Many preseted rich gradient style and background images and patterns can be used to fill shape or text objects. What's more: bevel, shadow is provided to made impressive ads with high 3D effect so easily. It support GIF, JPG and PNG formats.